India needs nationwide broadband, not Facebook's Free Basics mobile access. India Doesn’t Need Facebook’s Free Mobile Internet Access. It Needs Nationwide Broadband. 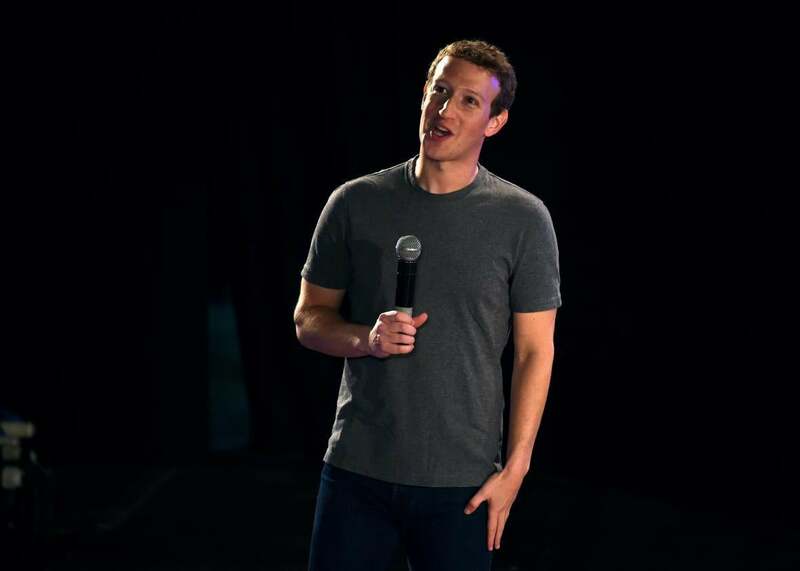 Facebook chief executive and founder Mark Zuckerberg speaks during a town hall meeting at the Indian Institute of Technology in New Delhi, Oct. 28, 2015. Mark Zuckerberg has not had a good week. First, Free Basics—his company’s attempt to offer free Internet access within a Facebook-approved ecosystem of apps and platforms—was blocked by India’s telecoms regulator in a historic, stern, and unequivocal ruling against anyone who tries to offer differential pricing for data services in India. To preserve the neutrality of its Internet, India has decided to ban all attempts to build walls around certain kinds of privileged content. India’s Internet will remain open, allowing its users to decide how it will develop. The decision by the Telecoms Regulatory Authority of India, or TRAI, an independent body, followed sustained pressure from campaigners who correctly argued that the Free Basics plan would have created a multitiered Internet—better, faster, more open access for the rich and restrictions on those with lower incomes. These restrictions could stifle innovation and entrepreneurship, which are are both important factors in escaping poverty. They would also prevent new Internet users from discovering the breadth of available content. “Connecting India is an important goal we won’t give up on,” Zuckerberg posted on Facebook after the ruling was issued. “Because more than a billion people in India don’t have access to the internet.” The real challenge lies in building India’s digital infrastructure, which has been neglected for a long time. If Facebook really cares about poor people having access to the Internet, this would be a more useful place to spend its money. India’s bigger cities and urban areas generally have wired Internet access, of varying standards. But in rural areas, where more than 800 million people live, there are simply not enough wires in the ground. In December 2014, only 1.2 percent of Indians had access to wired broadband; the global average was 9.4 percent. Speeds are generally on the slow side. Funding isn’t necessarily the problem. In 2011, the Indian government launched the National Optic Fiber Network project. Its aim was to connect hundreds of thousands of villages over a period of three years, at an estimated cost of $3 billion. It has been a spectacular failure, with less than 5 percent of its targets achieved. Billions of dollars remain unspent. India has instead relied on telecoms companies to develop mobile Internet, which is how the vast majority of new users are gaining access, usually via increasingly affordable smartphones. We keep hearing that 4G is on its way, but many places are still stuck with erratic 2G. Even in major cities, cellphone coverage drops in and out. But 4G is not enough. At its best, mobile Internet simply does not have the capacity of a high-speed wired connection (which you still need in order to then get Wi-Fi). Free Basics was available for a year before it was banned, and since Facebook did not supply user numbers to TRAI, it is a fair guess that it was not particularly popular. A popular service would be much harder to ban. Various reports suggest that most of the people who signed up were already Internet users looking for a way to get free data, rather than the truly disconnected poor. In any case, even poor people will buy smartphones and pay for basic data connections if they feel it’s worthwhile. Still, entry-level smartphones using 2G are at best only a gateway to more serious Internet participation. A resilient wired Internet will require the hard work of digging up the ground; laying cables full of optical fibers; and, crucially, maintaining and upgrading them. This is a major task in any country, let alone one of this size and complexity. Like the United States, India is a federation of states, all of which have considerable autonomy. National development projects can stall because of interstate disagreement over funding and control or even cultural differences. India also has many other infrastructural and social challenges that are arguably even more pressing. Three hundred million don’t have electricity, and a similar number are illiterate. Half the population doesn’t even have a toilet at home. But the U.N. has declared Internet access a basic human right, and it can and probably must be addressed separately from other concerns, however important they are. Otherwise nothing will get done. “What do we need to do?” asked TRAI in May last year, in a simple and blunt subtitle to its extensive, 120-page report on improving broadband access in India. TRAI’s recommendations are unsurprising. It criticizes the lack of planning and coordination that has led to the present situation. It proposes common standards be implemented, so that everything across the country works harmoniously. And it wants the various agencies, partners, and state and central governments to simply get a move on, as India is already behind and there isn’t any more time to waste. The lack of reliable Internet penetration in India is hurting its economic prospects. India has a can-do mentality that enables it to keep functioning and thriving, despite disparaging remarks from places like Silicon Valley. It’s not dissimilar to the spirit that has made the Internet itself a realm of possibility. Splendidly, the 2015 TRAI report ends with a quote from Machiavelli: “The one who adapts his policy to the times prospers, and likewise that the one whose policy clashes with the demands of the times does not.” India paid attention, Facebook did not.